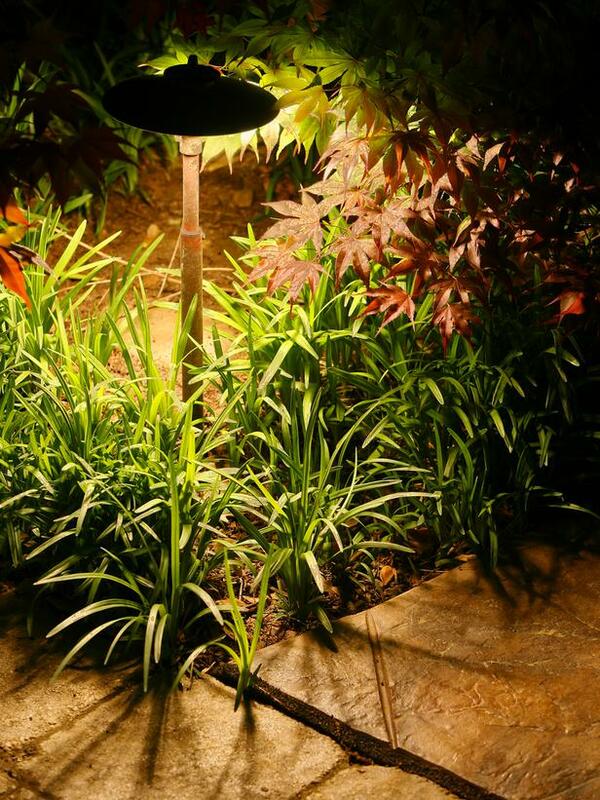 How to give your outdoor living space and landscaping new life with outdoor lighting. 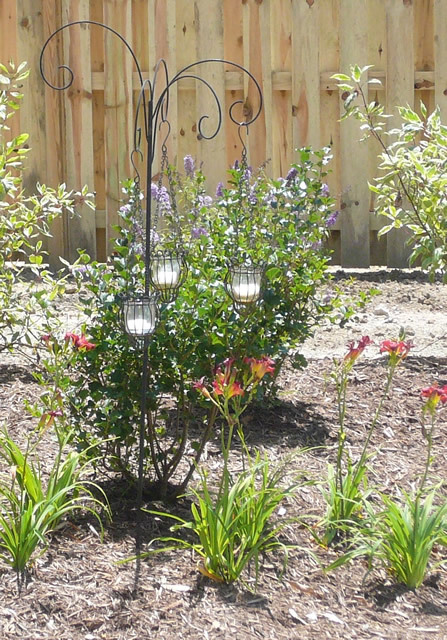 Outdoor lighting is often one of the most overlooked elements of landscaping. Whether it’s a newly lit walkway, a few strategically placed flood lights, or mood lighting on a porch or deck, the effects of light and reflection can transform the ordinary into extraordinary. But there’s more to outdoor lighting than just ambiance. 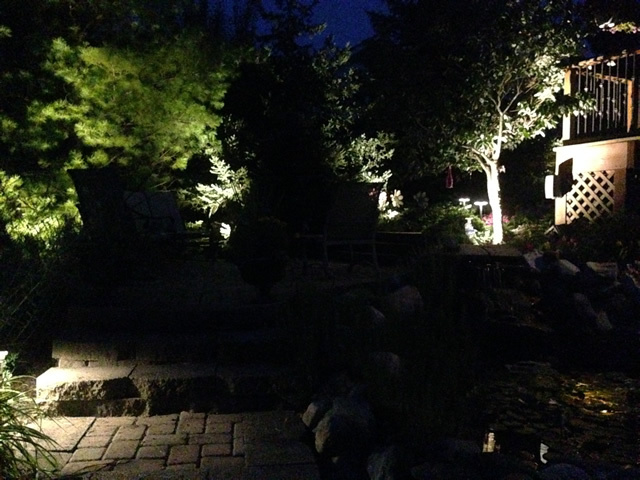 There are lots of benefits to incorporating a variety of lighting elements into your landscape and hardscape. 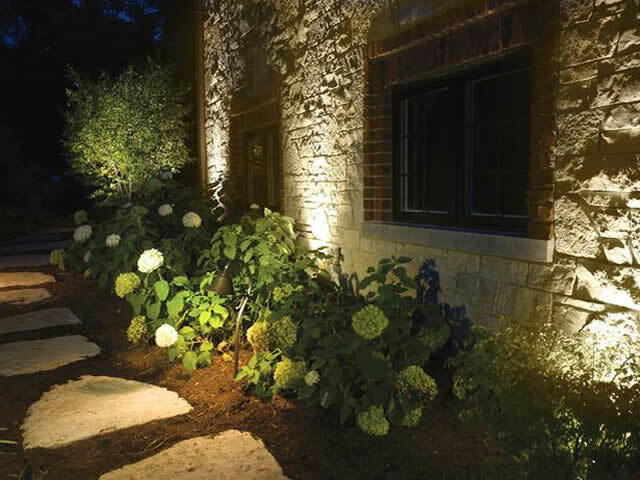 Here are some of our top landscaping tips and benefits for outdoor lighting. 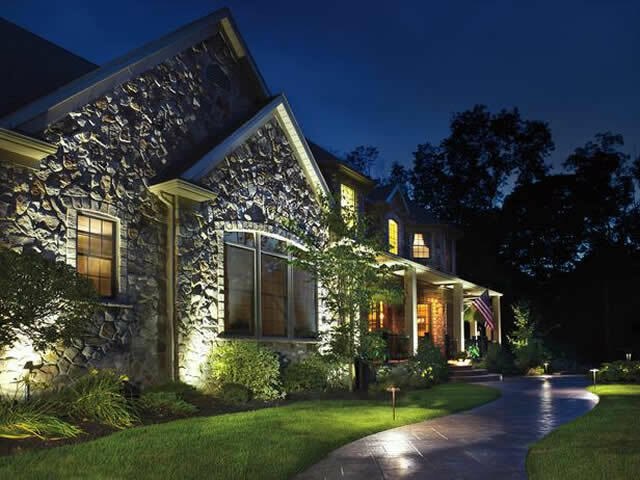 Illuminating your home’s exterior can enhance the overall appearance of your property year round. Improving your outdoor aesthetic can also increase property value. Highlighting architectural features, along with beautiful plants or trees, will increase curb appeal. Well-it gathering areas around your home ensures your family and friends longer outdoor enjoyment time. Whether you have a fire pit, patio, porch, walkways or recreational areas, strategic lighting will increase the time your family and friends can enjoy evening events and activities. Lighting your property provides safety and security value. Outdoor landscape lighting deters intruders and vandals when they are looking for targets. 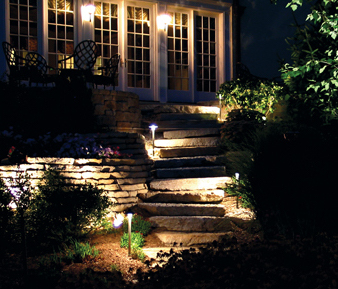 Landscape lighting can prevent potential accidents in areas of darkness or uneven ground around your home. Pathway lights provide visibility, protection and elegance. Lighting can deter unwanted pests and animals that can potentially damage your lawn and landscape. Motion-sensing lights are not only energy-efficient, they can serve as security alerts for potential intruders or unannounced visitors. All Seasons Landscape considers a number of factors when it comes to creating and implementing outdoor lighting designs, including seasonal changes, plant growth material and property structure. 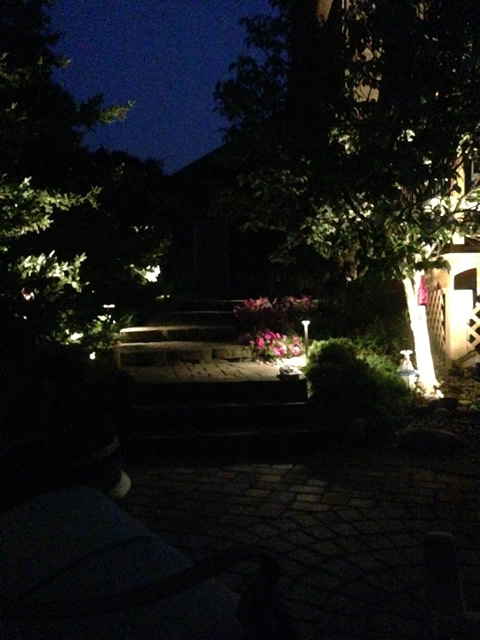 Whether you have a private residence or a public commercial space, All Seasons Landscape can provide high-end superior lighting and installation to those in Indianapolis and surrounding communities. Call today for a free lighting consultation and estimate.